Scott Fox can help your audience learn how to startup and grow their own "lifestyle business" on the Internet. A self-made "Click Millionaire" and the author of 3 best-selling books about Internet startups, Scott offers your audience entertaining, smart, proven strategies for finding a good business niche online, the easiest ways to build a website today, and finding success as an Internet entrepreneur. 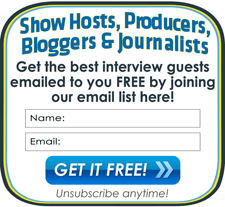 Plus, he'll offer your listeners a free pass to the exclusive ClickMillionaires.com Internet Lifestyle Business Coaching Forum. What's the best business to start online today? What is a "Click Millionaire"? Isn't it too late to start a profitable Internet business? Founder and Host of ClickMillionaires.com, Author of 3 best-selling books, Successful serial internet entrepreneur.